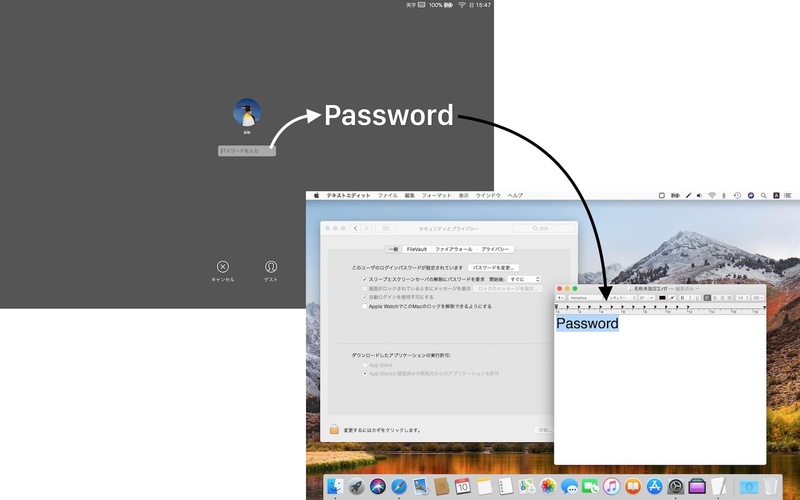 High Sierraのスクリーンロック機能にはロックが解除されない段階で入力したパスワードが他のアプリへ入力されてしまう不具合があるもよう。 | AAPL Ch. I open my MBP, type the session password, hit return, nothing happen. I realize that the password field is not focused, I click on it, type the pass again and it works. I have slow Macs that I share with family. I’ve seen similar behavior when switching users. The full-screen password entry login comes up, but focus is still on regular apps. Hey Tonny. No I don't have an Apple Watch so it's not related. I did connect an external screen before opening the MBP though, so maybe it's related to that? Note that I can't reproduce it, happened only once so it must be a shady bug.